Highlights • Simultaneous Six Channel Reporting Offers reporting via IP*, GPRS, GSM, SMS, Voice, and traditional landline, with pre-defined communication sequences to save installation time. 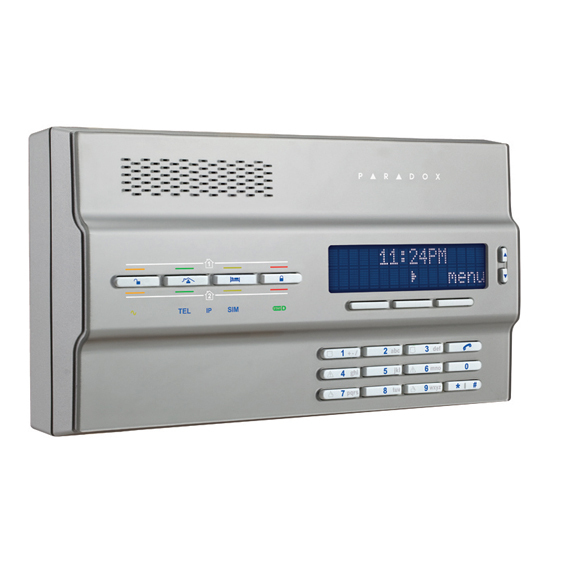 • Speakerphone via GSM or Landline Provides a fully-functional speakerphone that uses either GSM or a landline. 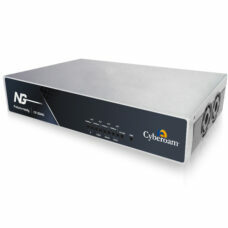 • GPRS14 Plug-in Communicator Module This integrated, concealed module provides reporting via GPRS, GSM, and SMS (featuring dual SIM cards for provider redundancy). • All-in-one 2-Partition 64-Zone Wireless Console Two partitions for two separate security monitored areas with up to 64 wireless zones (Stay, Sleep, and Full arming per partition). Supports the full Magellan line of wireless products (keypads, motion and smoke detectors, sirens, PGMs, remotes, and repeaters). • Intuitive Menu-driven Programming Programming the console is performed via the unit’s menu-driven user interface, allowing system set-up to be quick and effortless. • StayD - Always Armed, Never Disarmed Provides Paradox’s patented protection level that maximizes security for easier, better living.